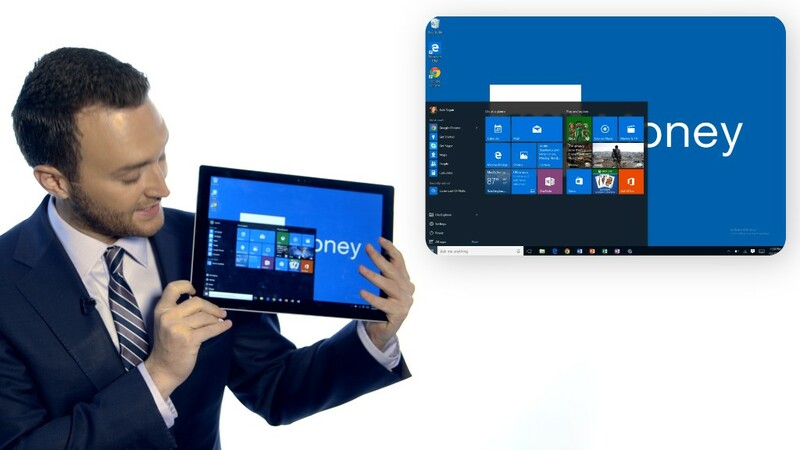 Amazingly, you can now buy a Windows 10 PC for less than $300 -- even less than $150. Sub-$300 Google (GOOGL) Chromebooks (essentially Web browsers on steroids) are the fastest-growing segment of the PC market. Not to be outdone, Microsoft (MSFT) teamed up with Intel (INTC) to reduce the minimal requirements PCs need to run Windows 10 and develop new low-end chips. That has helped PCs match Chromebooks on price. But should you get such a cheap computer? That depends what you want to use your PC for. Cheap PCs are as bare-bones as you can get. Desktop models don't come with monitors, keyboards or mice. You can buy a small laptop for cheap, but if you do forget about niceties like a touchscreen, a powerful processor or more than a couple gigabytes of memory. You will get what you pay for. You won't be able to do serious video editing, gesture control or gaming on a cheap PC. You won't be able to reliably use them for some business apps or even iTunes and picture editing if you have a large music and photos library. But if all you need your PC for is basic tasks, such as Web browsing, Facebook (FB), Netflix (NFLX) and simple Office work, you probably don't need more than what a cheap PC will provide. Interested? Here are a few examples of what you should expect if you're thinking about buying a cheap Windows 10 PC. 1. HP Pavilion Mini ($280). 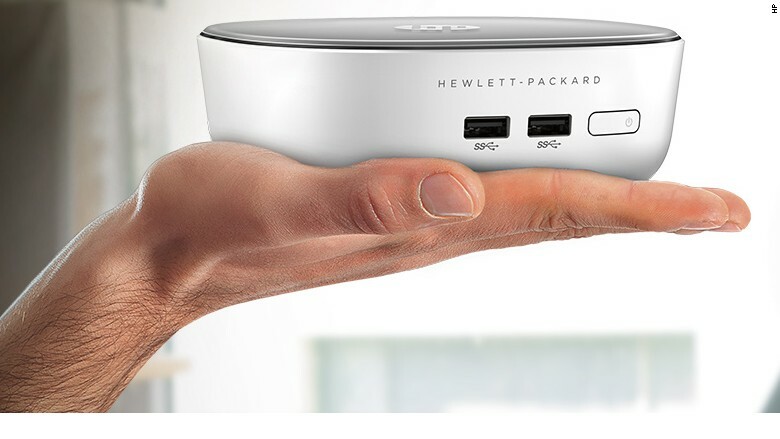 The Pavilion Mini desktop PC fits in the palm of your hand and is only two inches tall, but it has some punch: 4 GB of memory, a 500 GB hard drive, four USB ports and the ability to power two 4K monitors. My review unit was the more souped-up version that can be found for about $130 more. It handled streaming video beautifully, even when playing Netflix and YouTube side-by-side. And it's nicely designed, with smooth round, white corners and a silver-gray plastic top. 2. Asus VivoMini ($199). 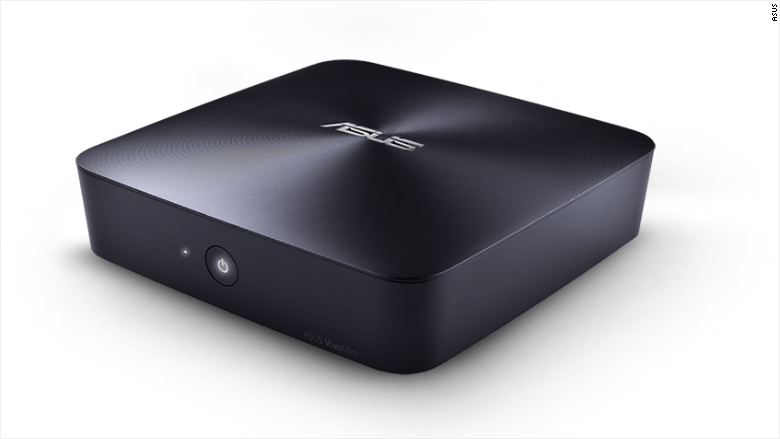 There are really no frills about the Asus VivoMini. It's about two-thirds the size of the Pavilion Mini, but it's kind of a black, square slab. You get a hard drive with just 16 GB (under 10 GB after Windows is installed). When I tried to upgrade the PC to Windows 10, it said there wasn't enough space on the hard disk. Still, you can power two HD displays, you get 100 GB of cloud storage for free (for a year), and you get a wireless keyboard and mouse included in the package. 3. 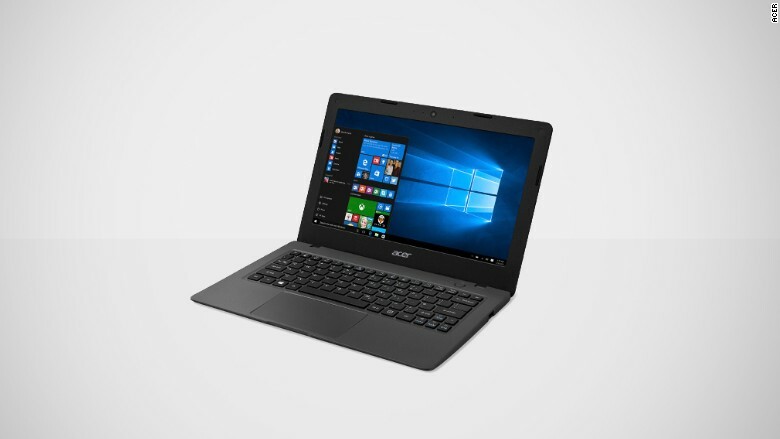 Acer Aspire One Cloudbook 11 ($170). Acer was clearly going after the Chromebook with its "Cloudbook" branding. It's a lightweight, nicely designed mini-laptop with a decent-enough 11.6-inch HD screen. The Cloudbook gives you an impressive seven hours of battery life. Like the VivoMini, you only get 16 GB of onboard storage, but it comes with 1 TB of OneDrive space and a free year of Office 365. 4. 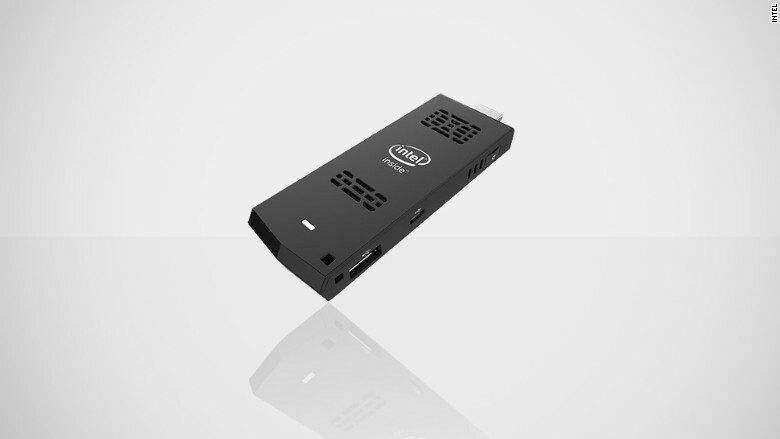 The Intel Compute Stick ($139). It's the tiniest PC in the world -- about the size of a pack of gum. The Compute Stick has a HDMI plug sticking out of one end and fits right into your TV or monitor. It's kind of a Chromecast or Fire Stick competitor, except it lets you watch anything you can already view on your PC (since it is a PC). You can also use it for other super lightweight PC tasks. There are definite quirks that come with the Compute Stick. You can use a Bluetooth keyboard, but you'll need to connect a keyboard via USB to set it up -- but there's only one USB plug, so that keyboard should also have a mouse trackpad on it. The tiniest of the tiny PCs comes with Intel's mobile Atom processor, just 2 GB of memory and 32 GB of onboard storage, but you can upgrade that with an SD card. But, hey, it's a PC that costs less than $150. That's nuts.